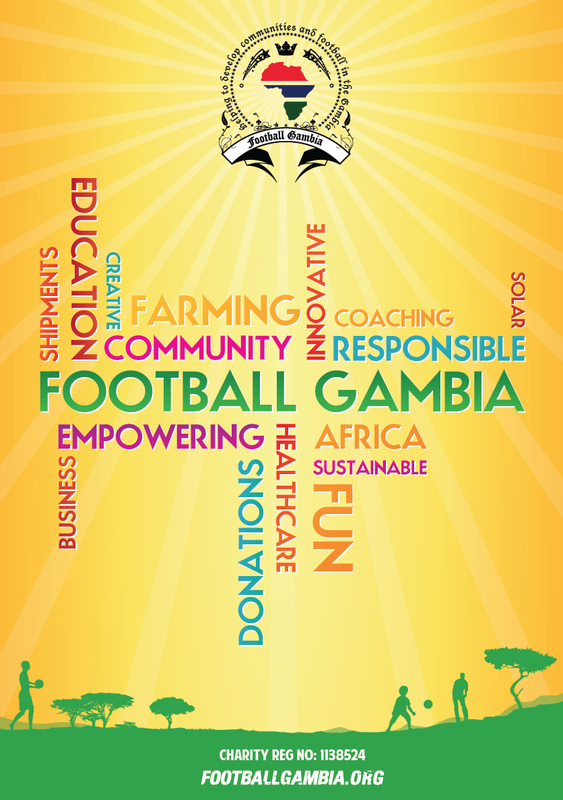 Football Gambia is a registered non-profit UK Charity, which promotes education through football in the Gambia (West Africa). We work with communities, schools, football clubs and academies to help children and youth attend school and live a healthy lifestyle. The main goal is to develop communities to be more sustainable, and to ensure that children and young people from the Gambia get the highest quality life experiences before they reach adulthood. We provide educational materials, text books, notepads, pencils etc to nurseries and schools, all over the country, providing the children with the 'right tools' to enhance their education. As a bonus, we also provide the children with quality football equipment and they receive professional football coaching. We've recently built a nursery school and renovated a medical centre, building a nursery, delivering Child Protection Training, developing schools curriculums, equipping a rural village with professionally dug water boreholes, robust pumps and hoses and developed an agricultural area to grow crops all year round. We encourage a Farming Academy where members of youth football clubs are required to cultivate land to produce vegetables and fruit for their communities. We also work with local charities and focus on environmental issues like reducing the amount of smoke emissions and litter in communities, plus paper and plastic recycling.